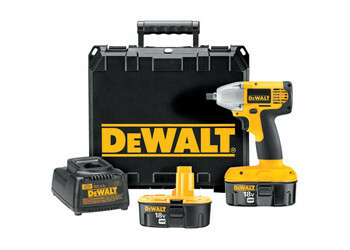 Dewalt Heavy-Duty 1/2 in. (13mm) 18V Cordless Impact Wrench Kit. Compact size & weight allows access into tighter areas and reduces user fatigue. 1,650 in-lbs of max torque to perform a wide range of fastening applications. 0-2,400 rpm/0-3,000 bpm for faster application speed. Textured ant-slip comfort grip provides maximum comfort. Heavy duty impacting mechanism directs torque to fastener without kickback.